Many business persons are often behind schedule when it comes to remitting their payrolls. To make sure this never happen, keep an up to date payment remittance using this form. 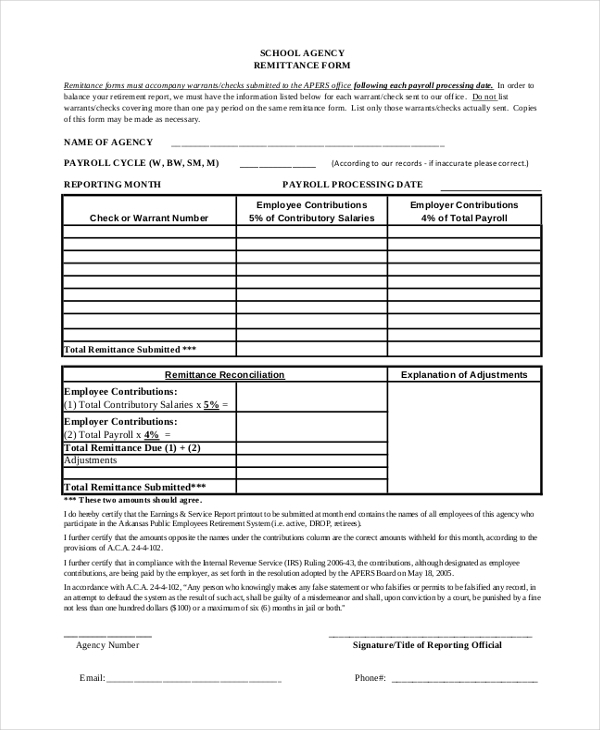 Whether you are a new employer without a pay program account or an employer who would like to start managing remitted payrolls, you will find this form template very useful. Remitting a payment is necessary, and you should do it on time. 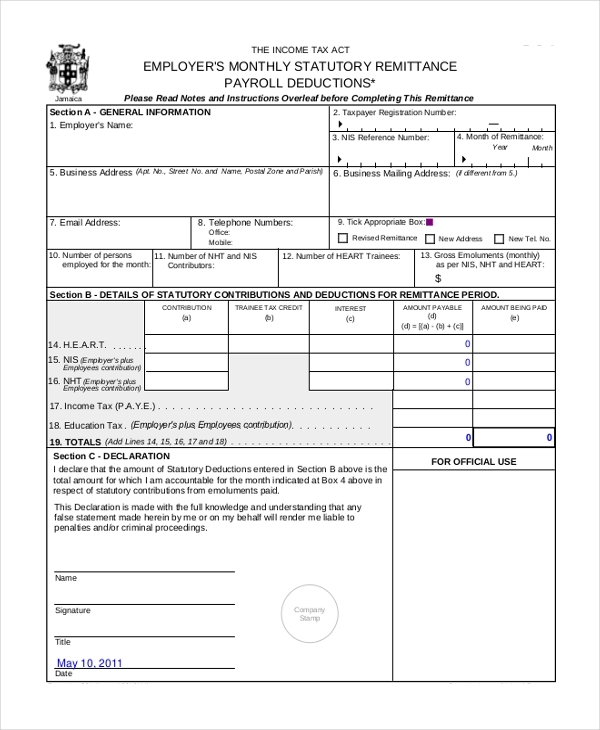 To make sure that your list is up-to-date, you may want to use the remittance form for payroll. The template is relaxed to use. 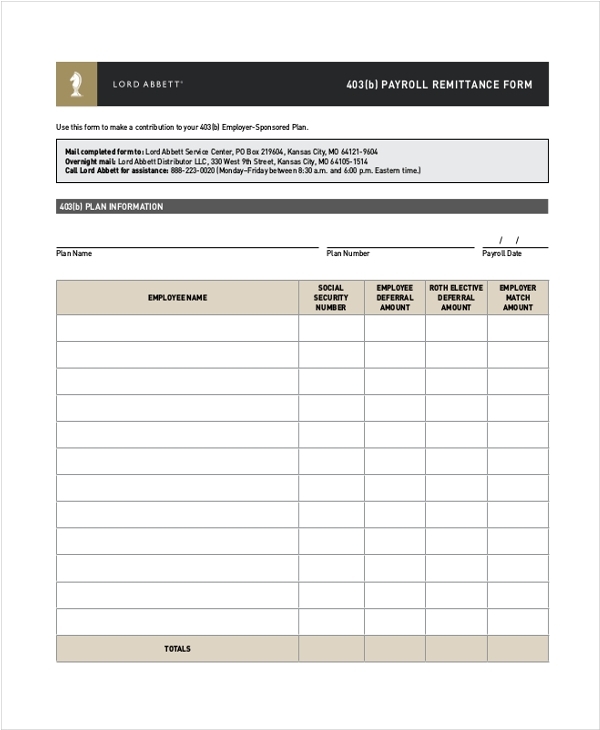 The payroll remittance form is easy to edit and simple to use. The data entered should be accurate. It is important to recheck the form and be sure before submitting the right information as payroll remittance. The primary reason why you should be using this form instead of creating yours from scratch is that you want to save time on the job. It will help you remit payrolls without wasting any minute. The content of this form should be accurate. The payroll needs to be up-to-date for successful remittance. Use this template from time to time as your standard design. Use this template as is. 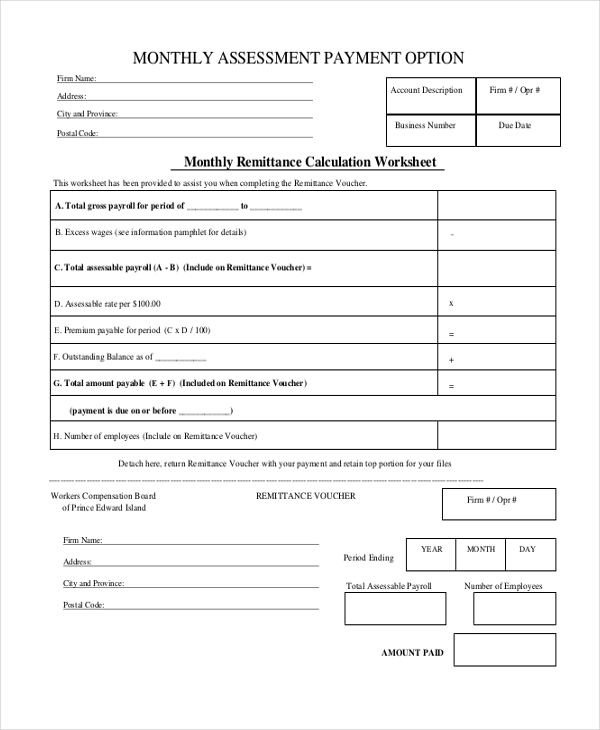 To help you remit payments on the exact due date, you should consider using this form. Because it is already designed for you, it will not only save you time and money but also make your work easier. 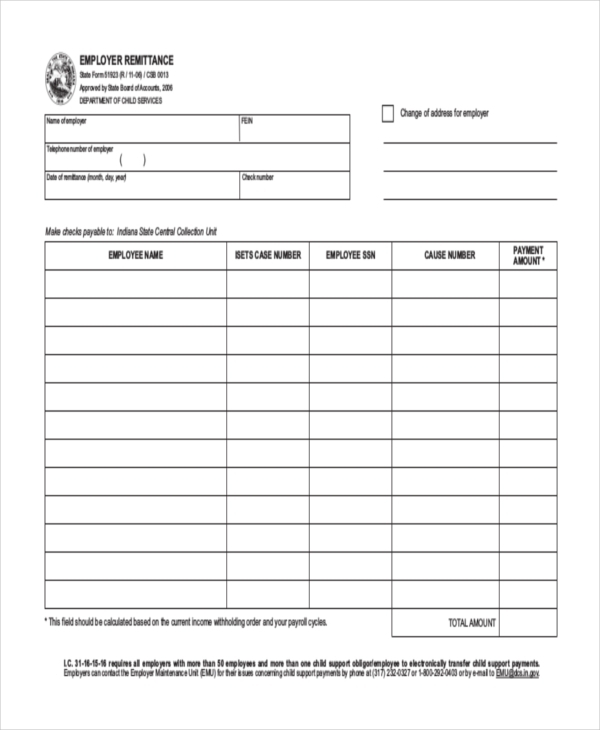 It is easier to use this form than creating one from scratch. The template is print ready, but you can edit it the layout if you want. 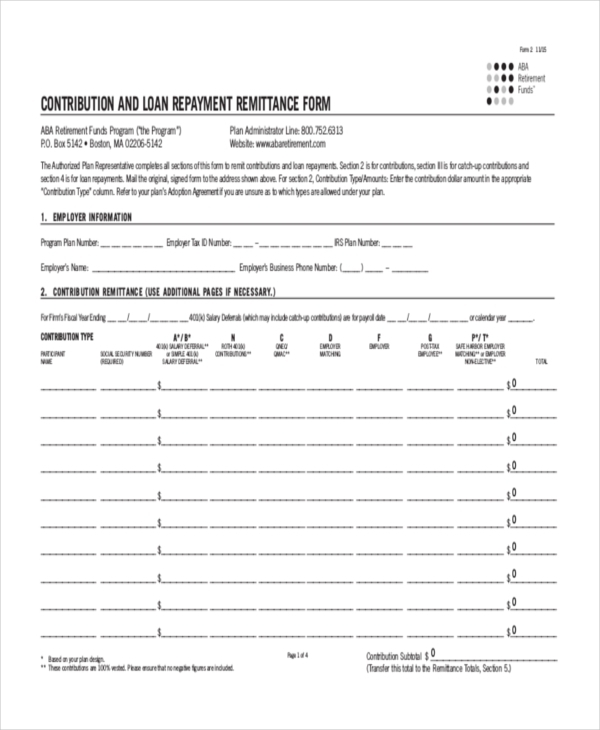 You should use the form every time you want to make a remittance. I am a New Remitter. What do I do? A new remitter is an employer who has never remitted any payments yet. As such, you can’t just start paying on the go; you will need to register your business first to begin remitting. Registration involves getting a BN aka Business Number and then registering for a payroll program afterward. Not all employers have the payroll program accounts, though. Regardless, they still, should pay their remittance by the due dates, to say the least. The due date is not the period during which an employee offers their services. Rather, it is the time when employees receive their payments. What’s the exact date for payroll remittance? What you should do if you are a new remitter? You need to make a payment to the relevant body, and then write a letter stating that you are a first-time remitter who has never done remitting before. Express your interest in opening a payroll program account, and provide accurate information about your business. That is, provide your business name, address, and telephone number.